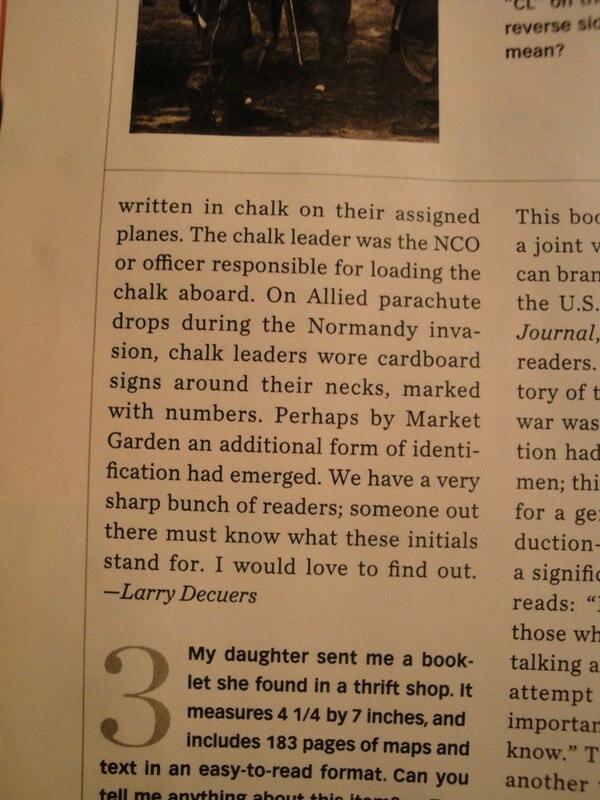 The letters may stand for ‘Chalk Leader’. 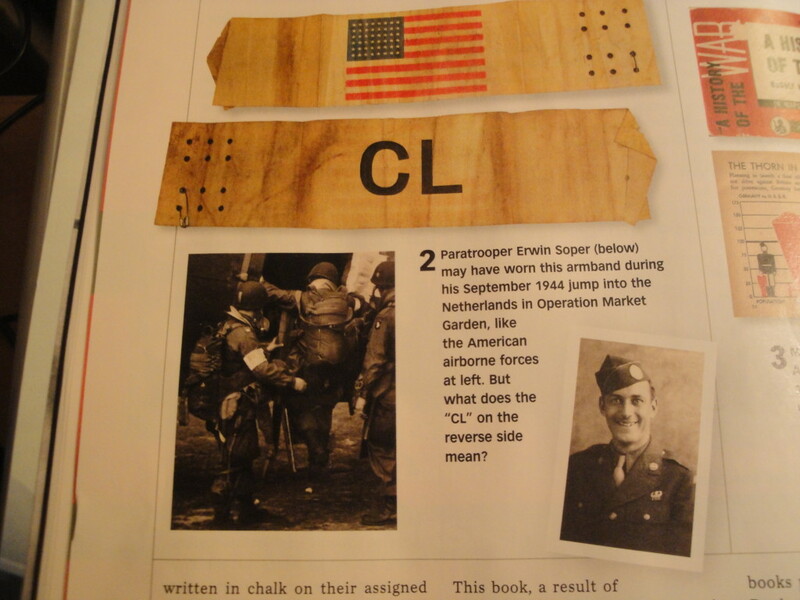 A chalk being a stick of paratroopers in a plane, which refers to their number chalked onto the hull of their assigned C-47. 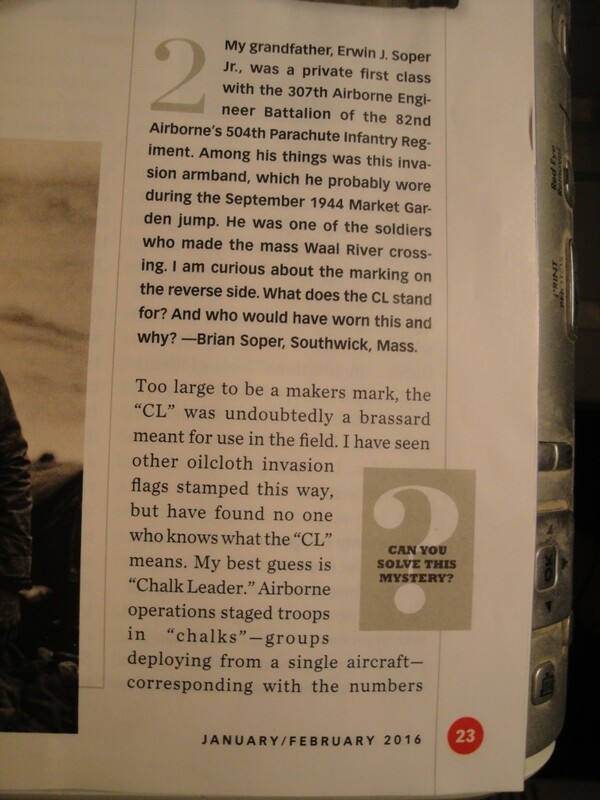 And the Chalk Leader being the NCO or officer responsible for loading them and their cargo on board. Click on the details of the photos to read more. Hopefully someone who reads the magazine here will know for sure or remember the armband.